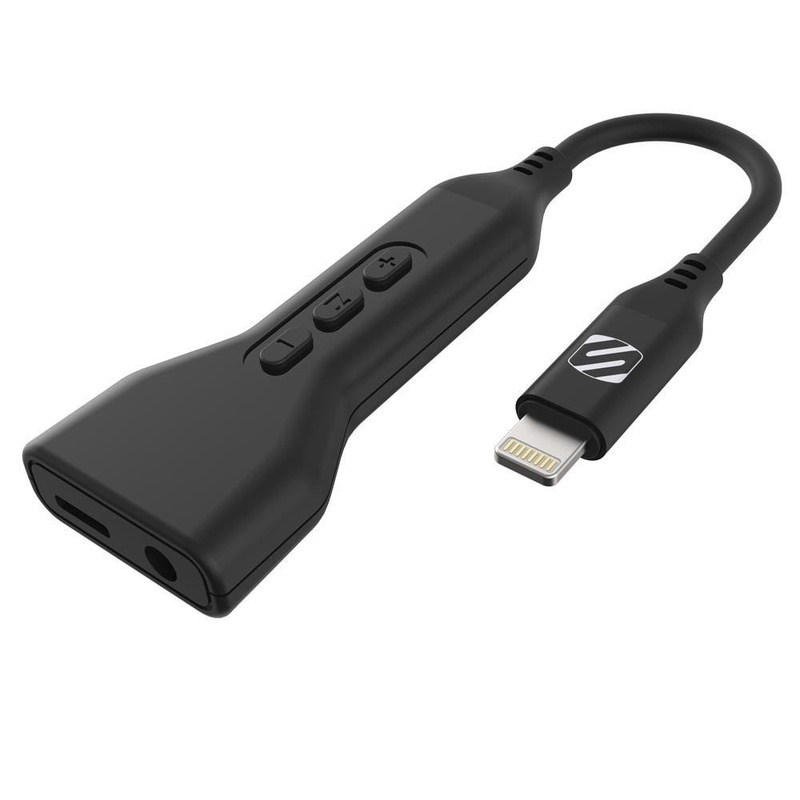 Scosche Strikeline Adapter Audio Adapter Charge Port designed for Lightning Devices. Lightning audio adapter with a black finish. - LISTEN AND CHARGE SIMULTANEOUSLY: With Apple removing the headphone jack from the iPhone X, 8/8 Plus, 7/7 Plus, this adapter allows you to connect your iPhone to your favorite devices with a 3.5mm stereo Aux cable, such as headphones, your car stereo, or portable speakers and recharge simultaneously. - ENHANCED AUDIO QUALITY: Direct connection from Lightning to 3.5mm stereo output delivers outstanding quality without any manipulation of the audio signal. - CONTROLS AT YOUR FINGERTIPS: Integrated control buttons allow you to play, pause, and adjust the volume without unlocking your iPhone.